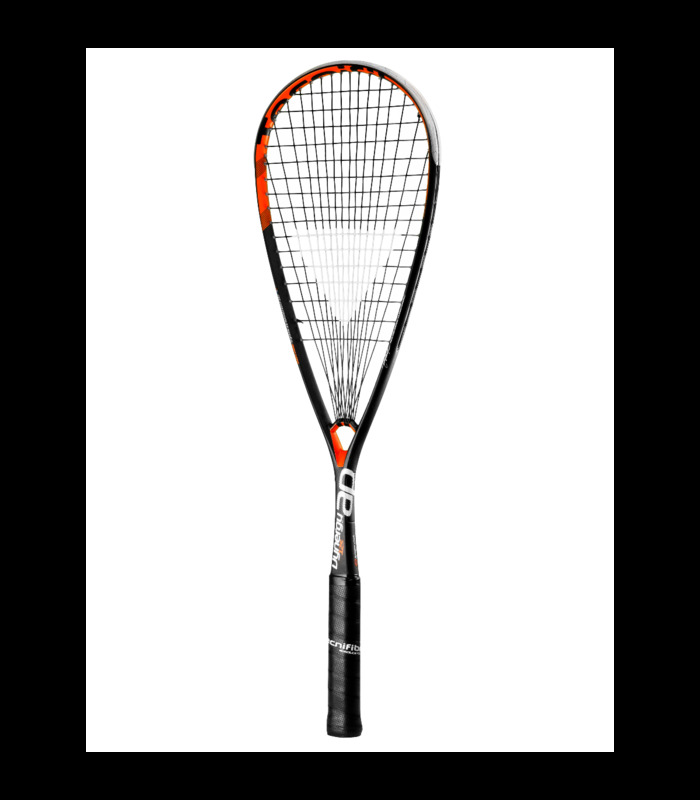 The Tecnifibre Dynergy AP 125 squash racket is suitable for players who already have a very good level. 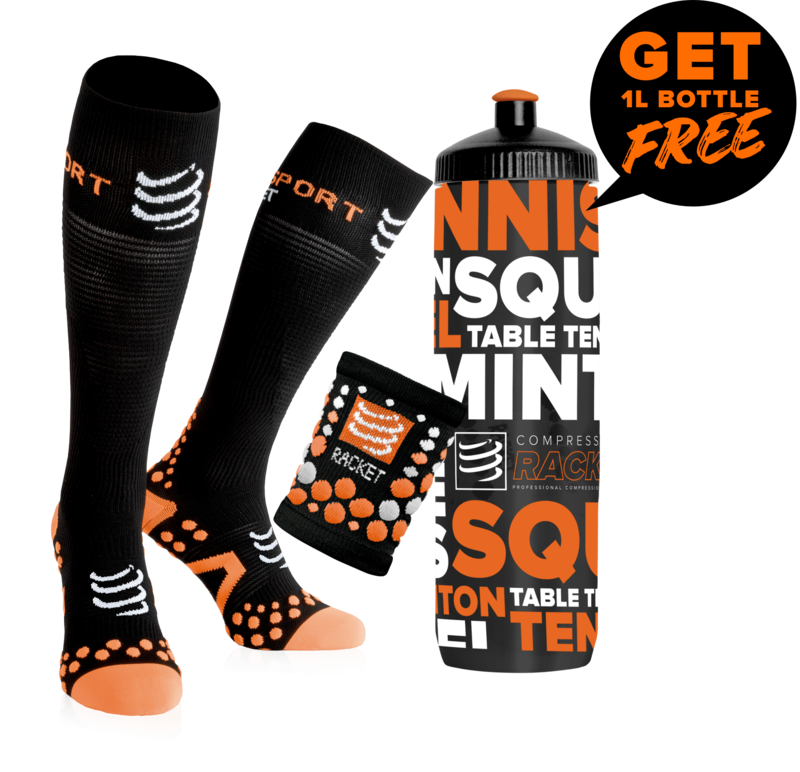 Head heavy balanced, this squash racket brings more power. The Tecnifibre Dynergy AP 125 squash racket is a competition racket used by players with an excellent level. This squash racket is used for example by Miguel Ángel Rodríguez, the world number 5. 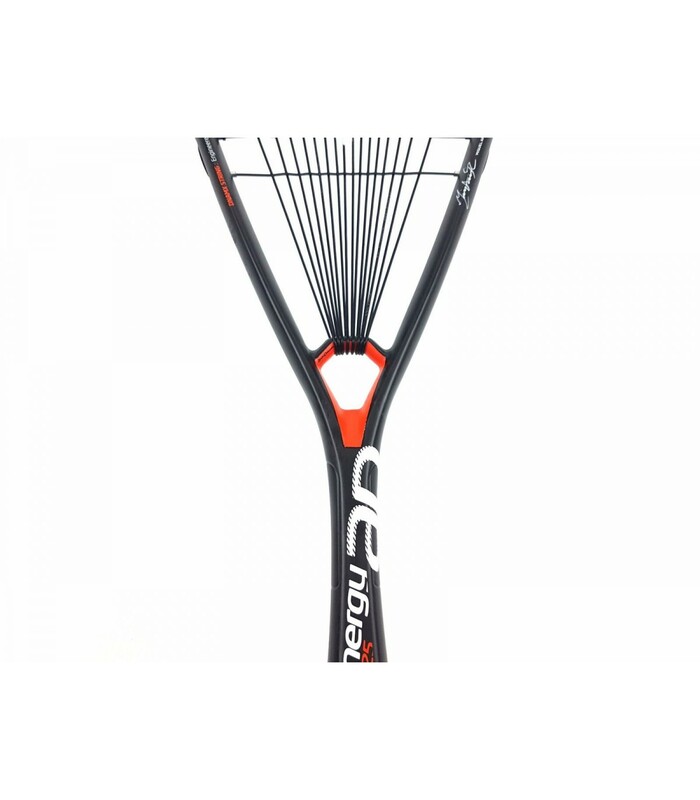 The Tecnifibre Dynergy AP squash racket 125 is very light with only 125g. Made of graphite, this squash racket allows players to improve their technical performance. The Tecnifibre Dynergy AP 125 squash racket is also lightweight and comfortable with a length of 68,6cm. 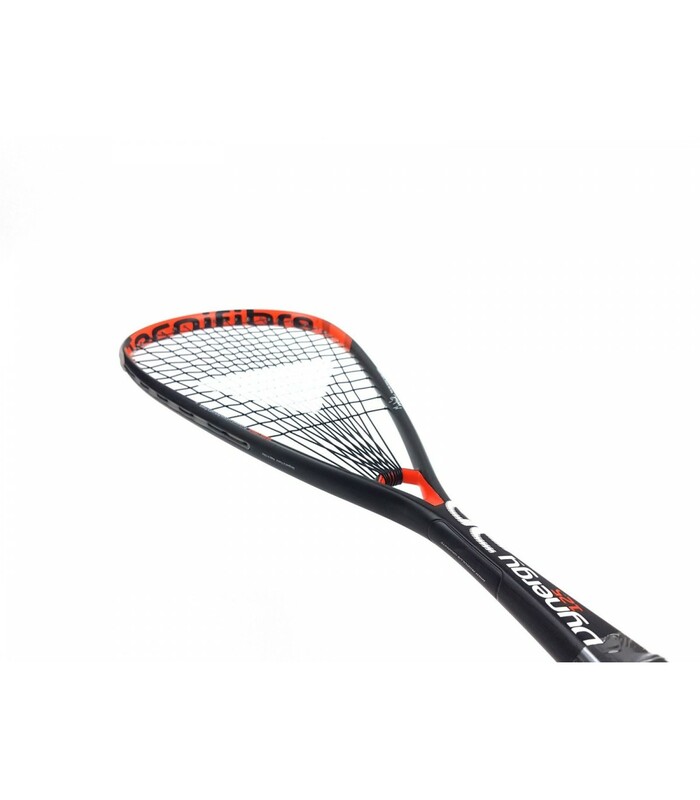 If you find that this squash racket is too light, there is the Tecnifibre Dynergy Ap 130 available on my-squash. This squash racket has a 35,5cm balance, ie an intermediate balance. This racket is polyvalent, it brings power and maneuverability at the same time. The Tecnifibre Dynergy AP 125 squash racket has a medium headsize (490cm²). 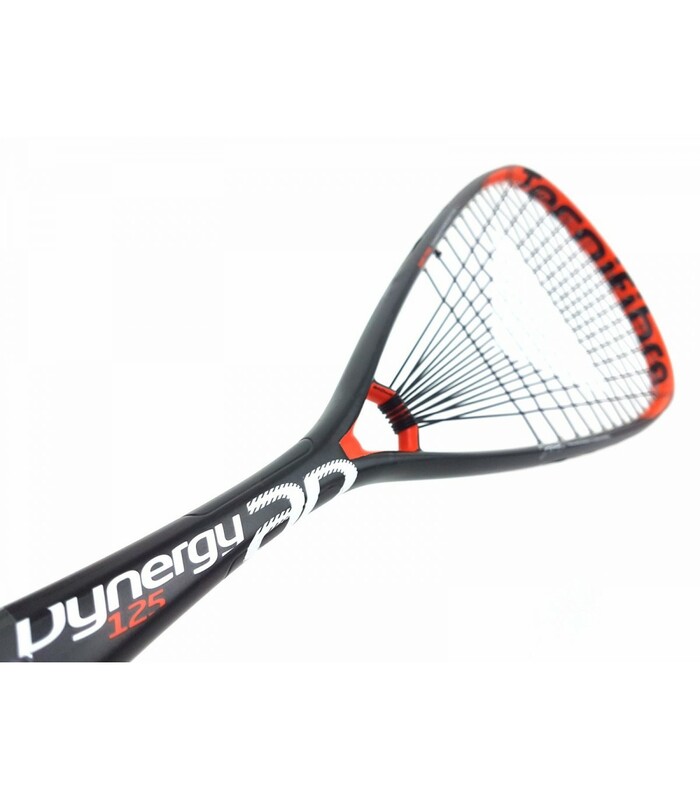 This squash racket combines power, nervousness, speed, responsiveness, with maneuverability and tolerance. With the Tecnifibre Dynergy AP 125 racket, your game will be faster, more nervous, but also more accurate. Power and control are the main features of the Tecnifibre Dynergy AP 125 racket. 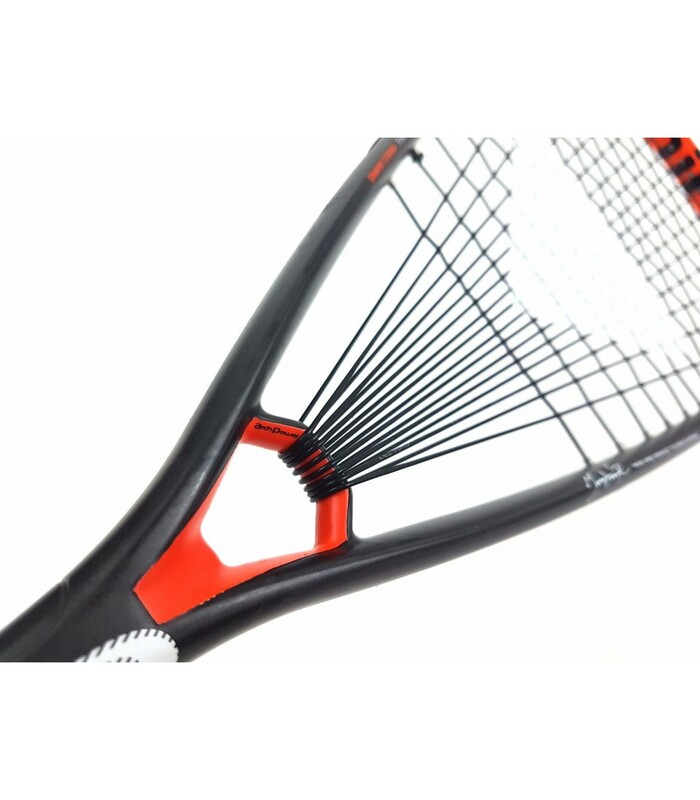 With its high quality string, this squash racket has a nice durability. This racket is an investment, but it will highlight your technique, while pushing you to go further in your strike power and accuracy. The Tecnifibre Dynergy Ap 125 is strung with the Tecnifibre Dinamix Reel , get one now to replace easily your strings when they break off. The Tecnifibre Dynergy AP 125 squash racket has the Jumbo Shaft and Arch Power technology, which brings you comfort, optimal precision and maximum power.